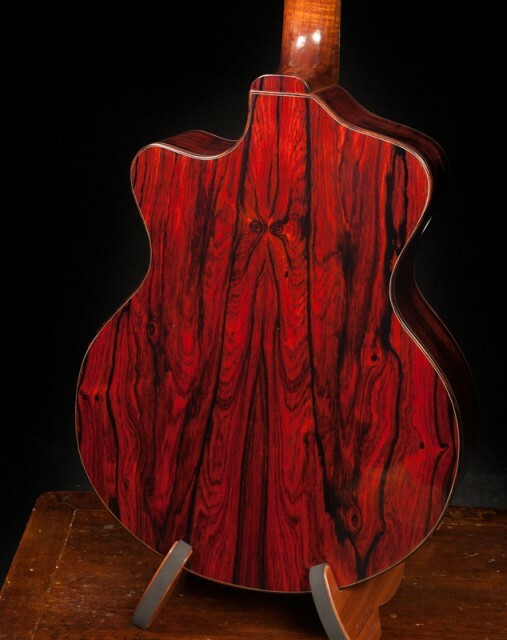 When you order a Lichty custom guitar you’ll design that dream guitar with Jay. 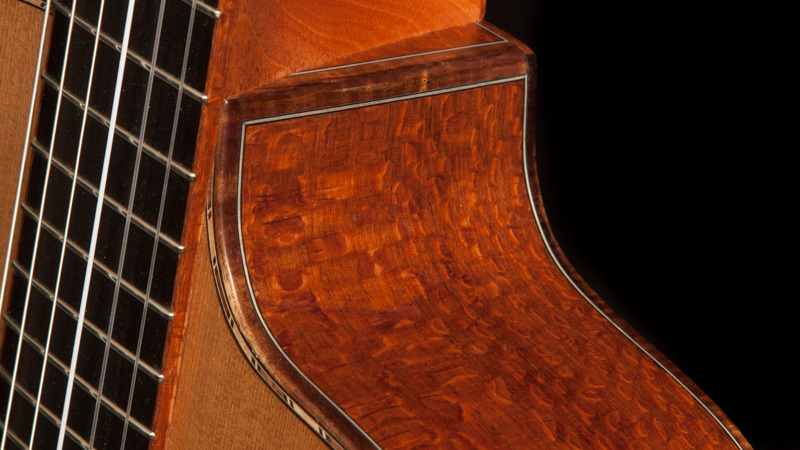 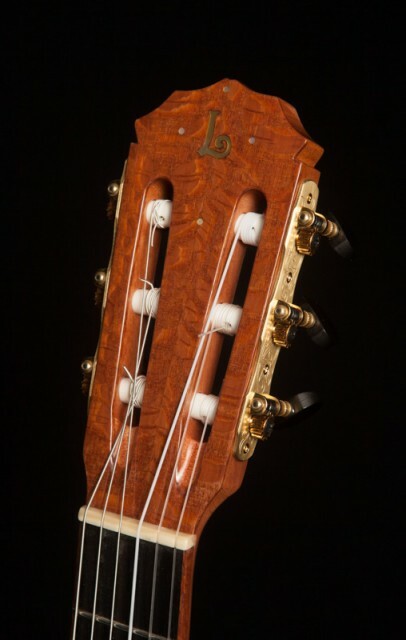 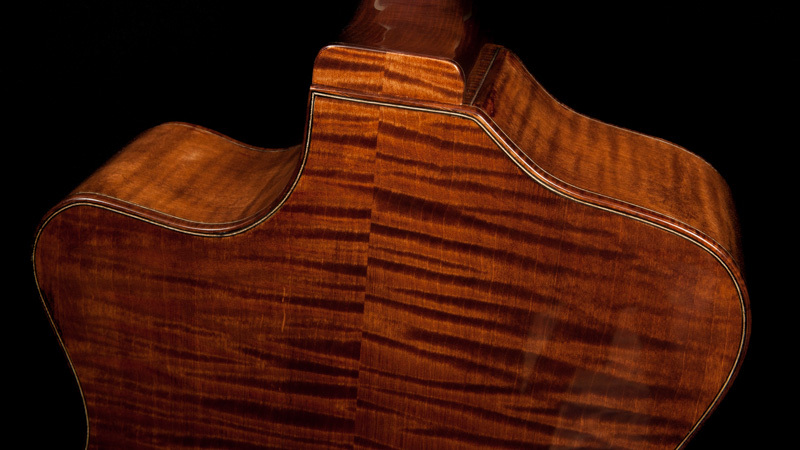 Together you will go over every detail, from size and shape, to bindings and rosette design, to pick­ups and tuners. 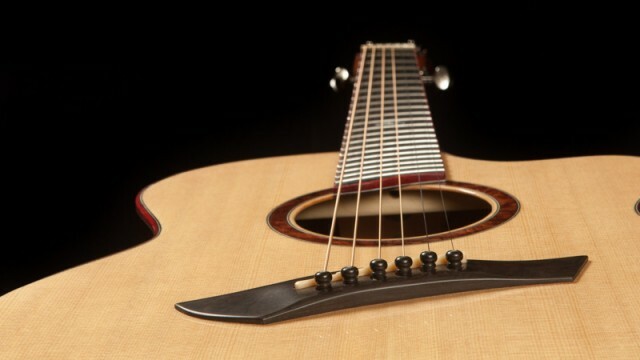 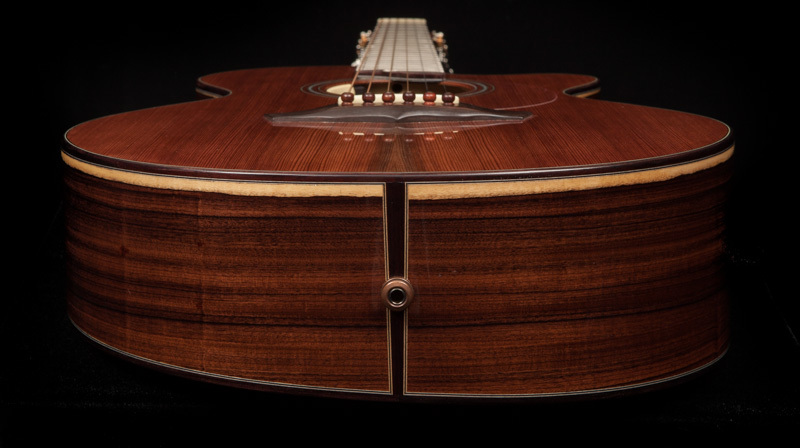 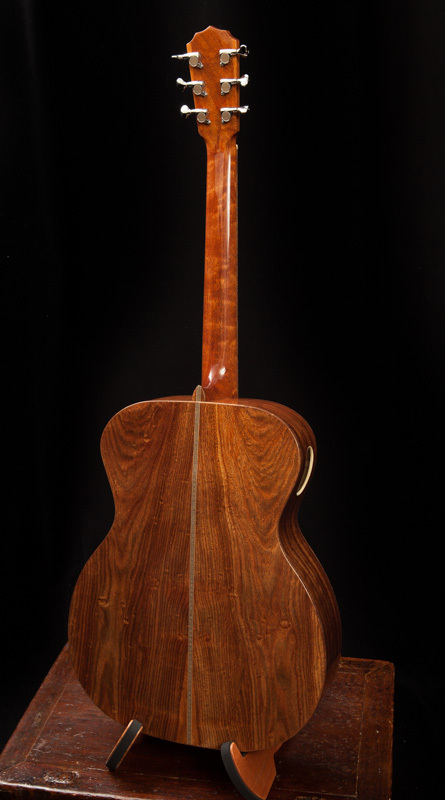 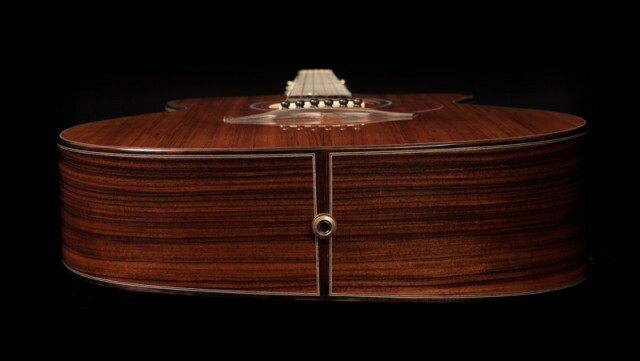 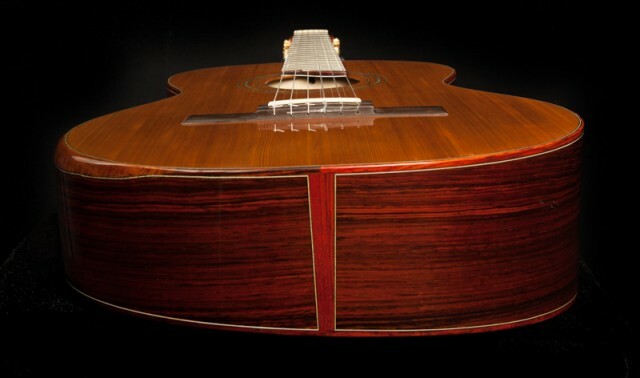 Jay builds handcrafted acoustic guitars that are unique to each player’s vision and style. 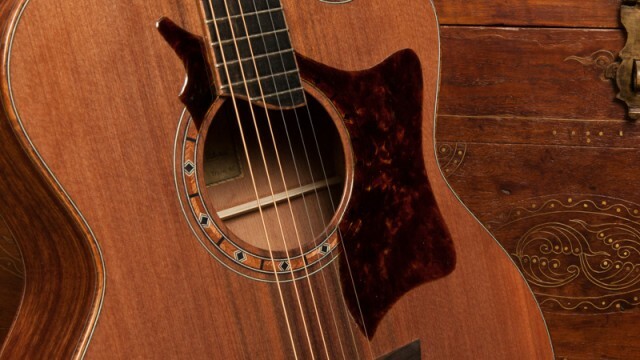 Select the guitar model that best suits your aesthetics and playing style. 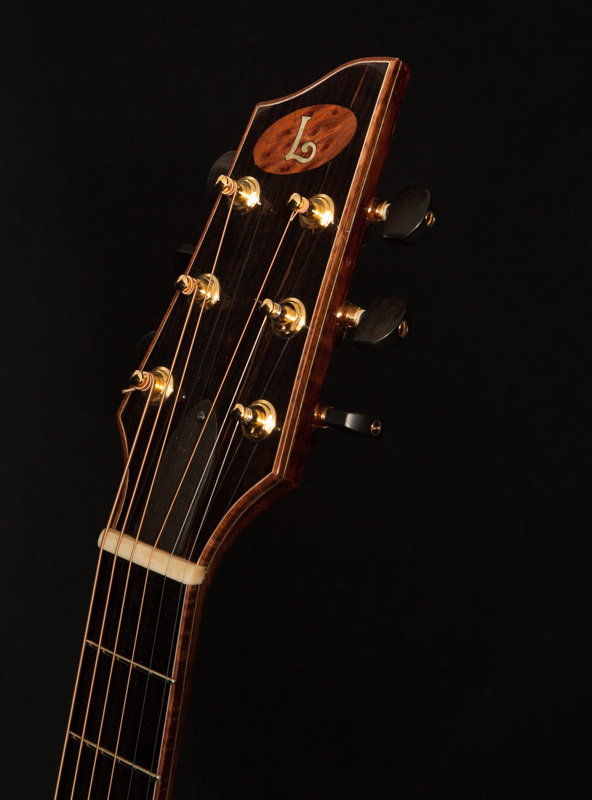 Jay can help to guide your decision once he learns a bit about you and the music you play. 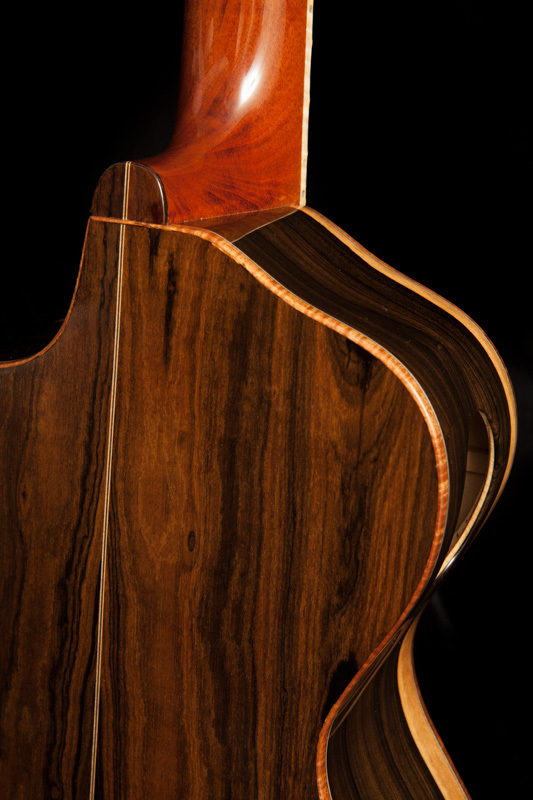 Look through our tonewoods and select the set of wood you would like. 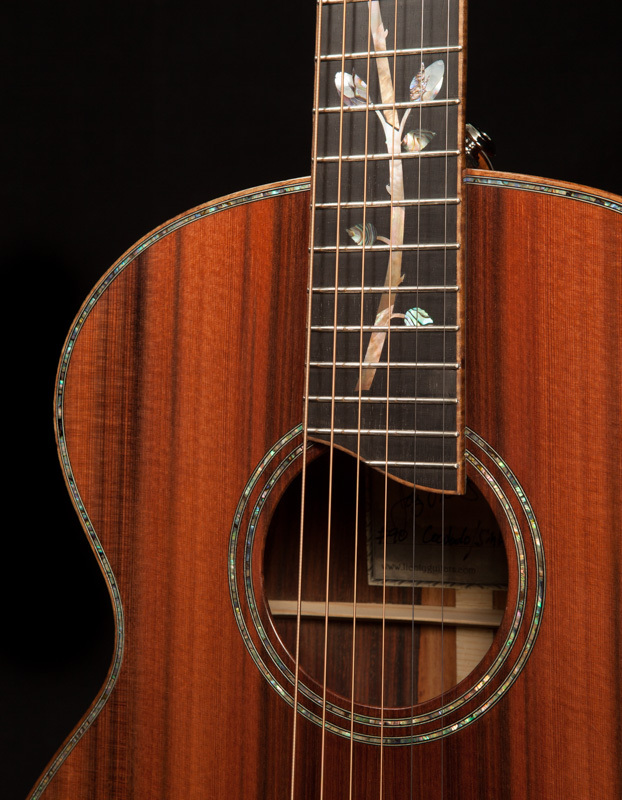 Explore the many custom guitar options available to you. 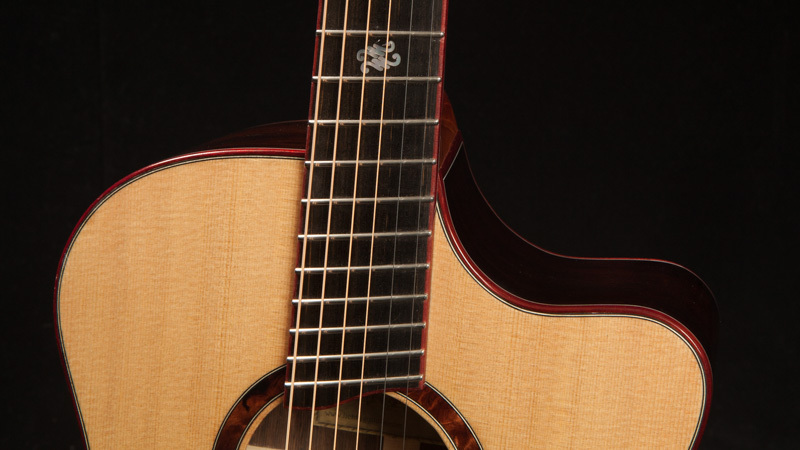 Run the numbers via our Price Estimator to get an idea of the cost. 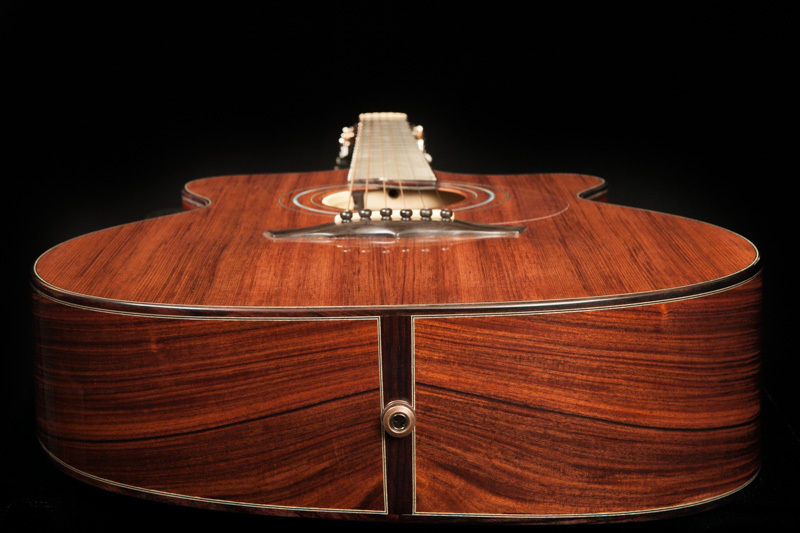 Contact Jay to share your ideas, ask your questions and to get your custom acoustic guitar onto his build schedule. 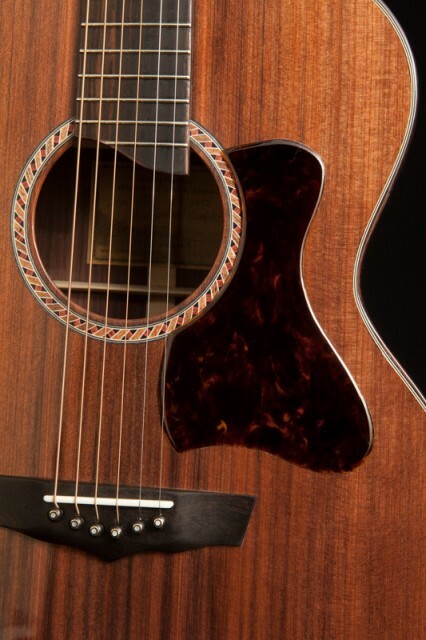 What model guitar do you love playing the most? 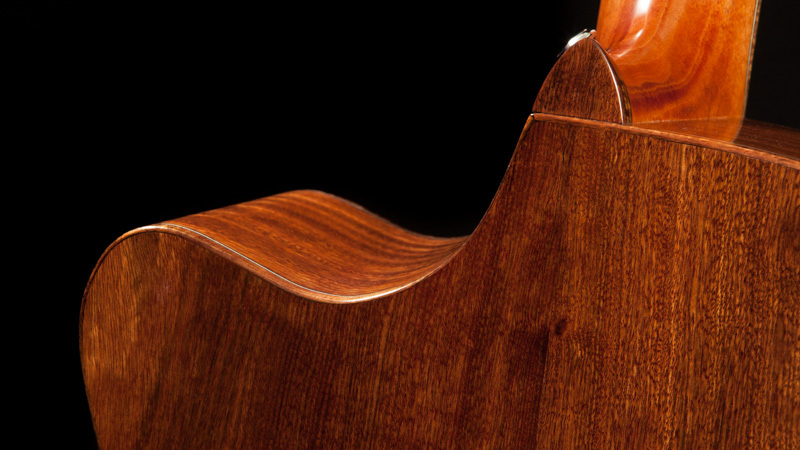 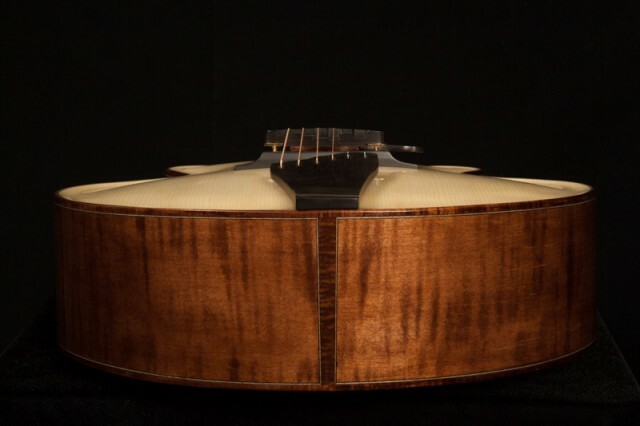 Body style and size impact every aspect of an instrument’s playability and sound. 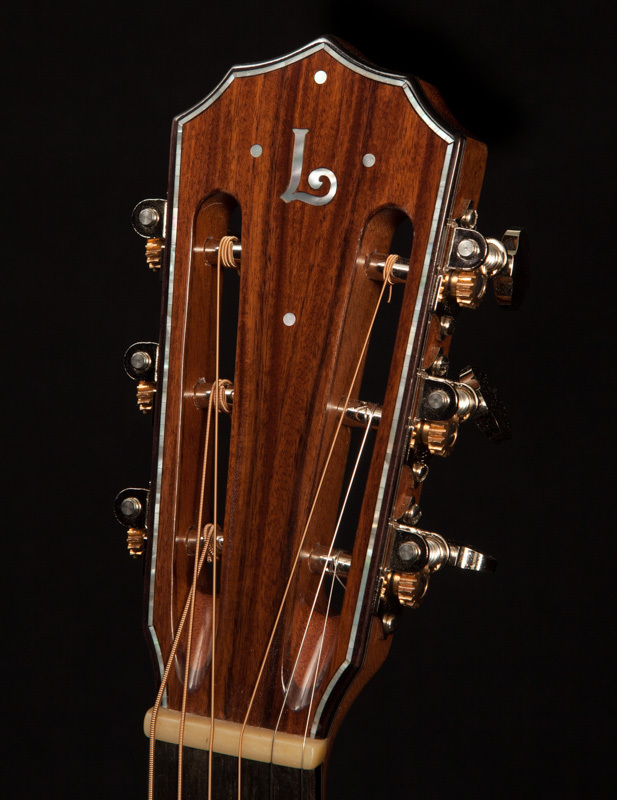 The acoustic guitar models that Jay builds include Small Jumbo, Parlor, Dreadnought, the Lichty Dream guitar and many more. We have an extensive collection of premium domestic and exotic tonewoods that are dried and ready for use. 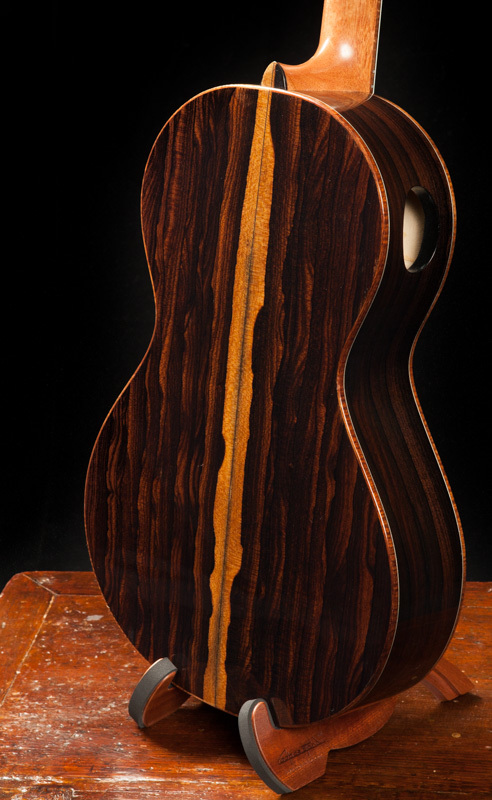 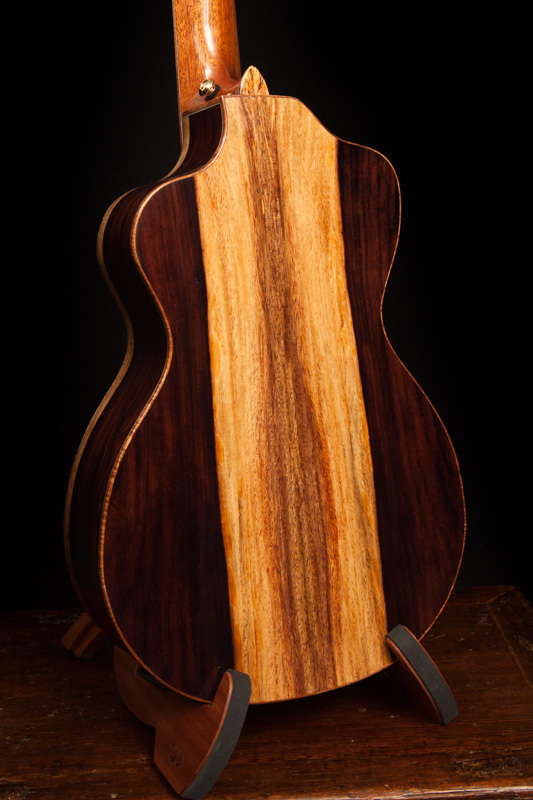 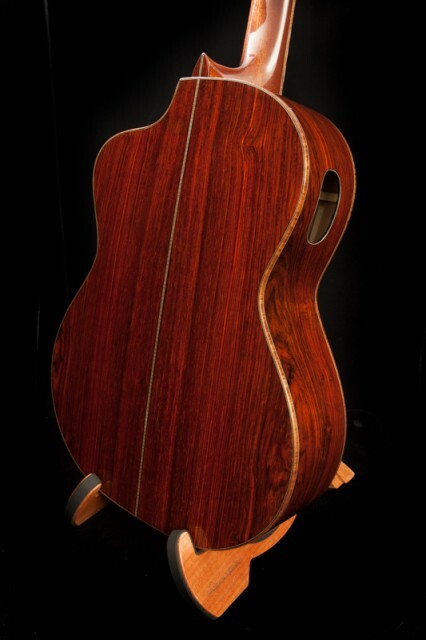 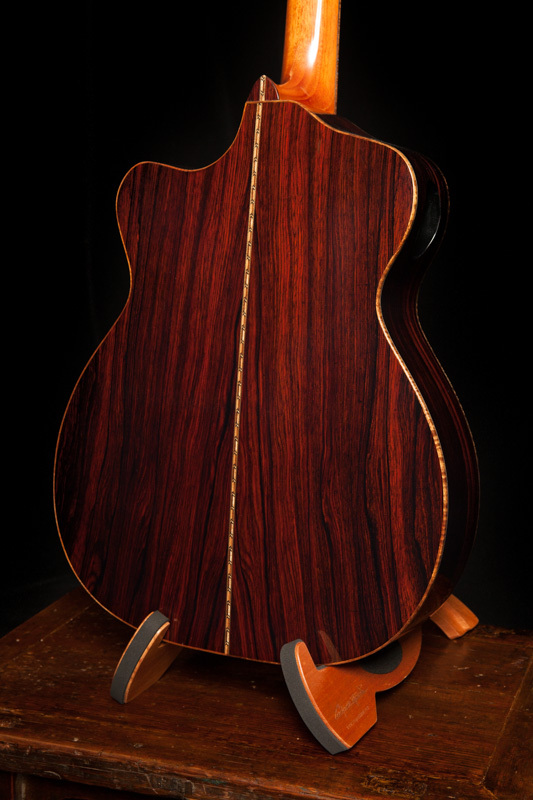 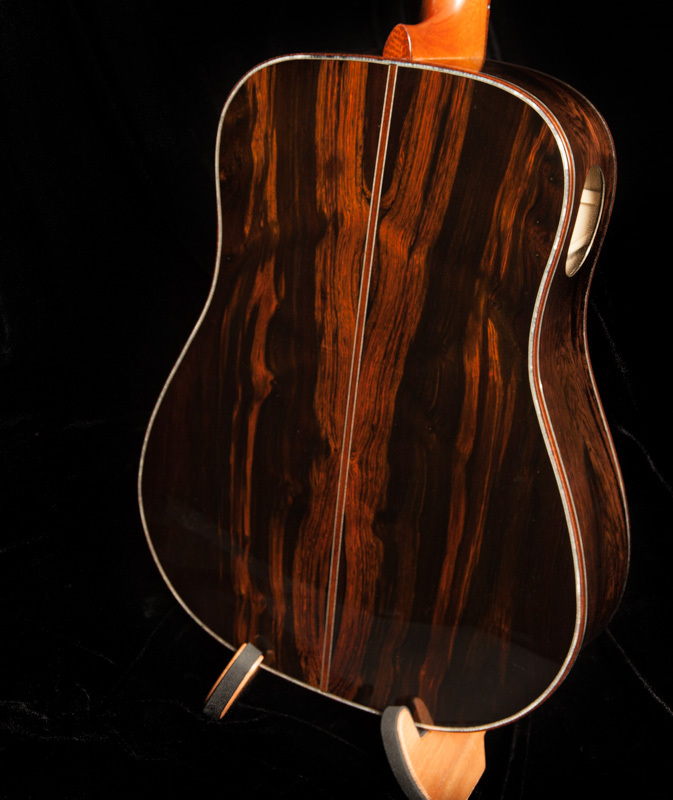 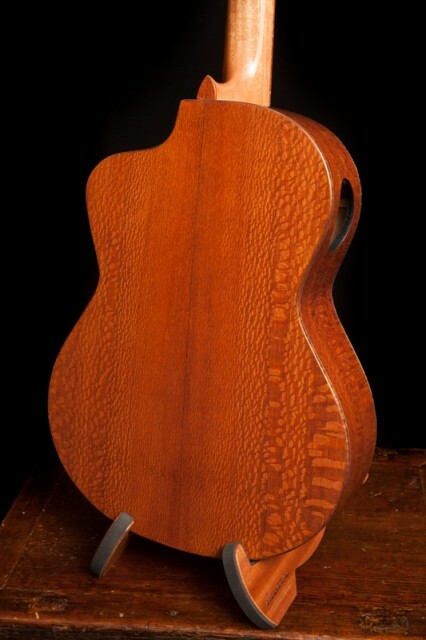 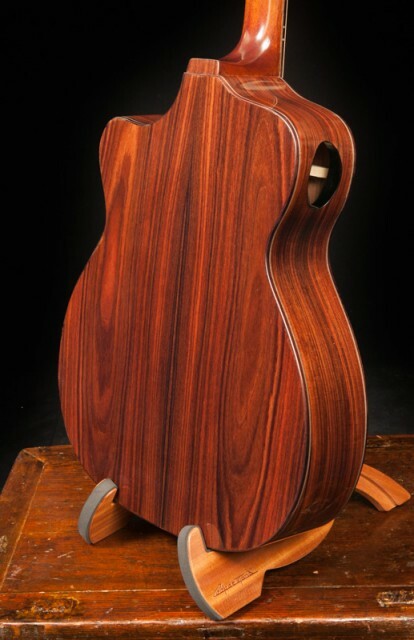 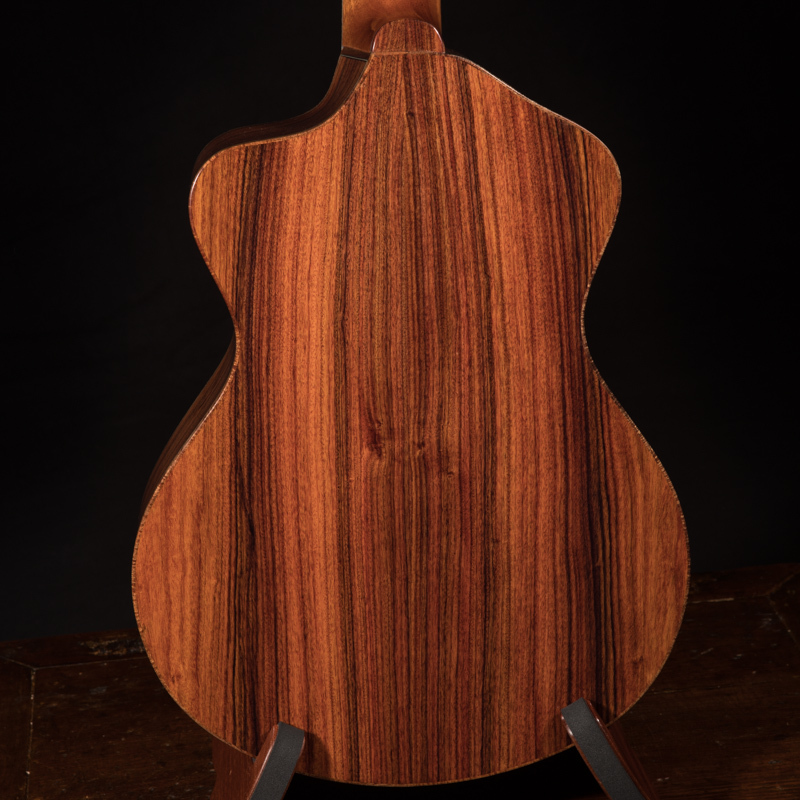 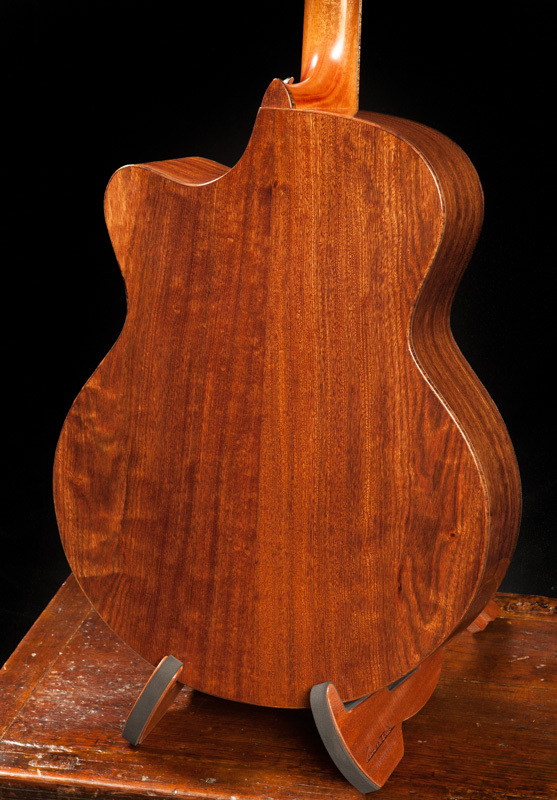 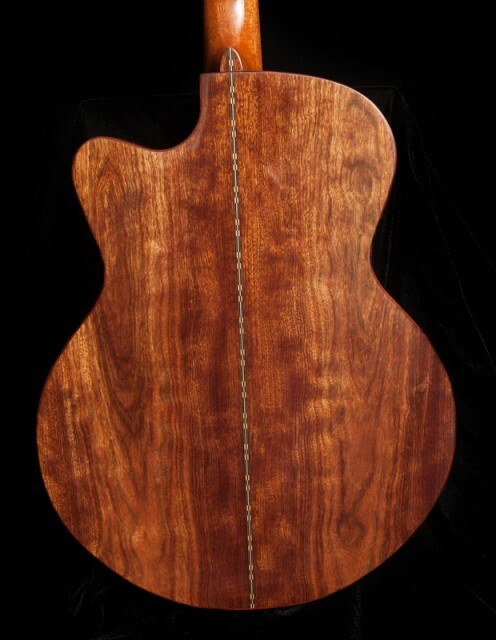 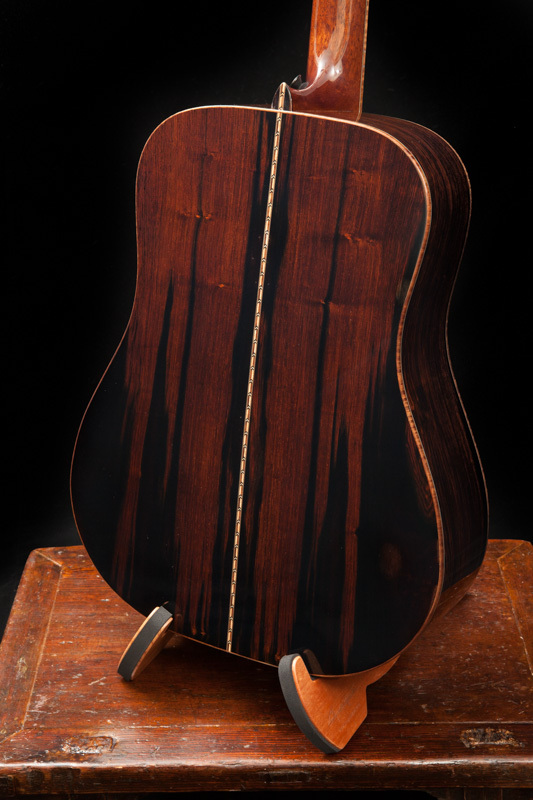 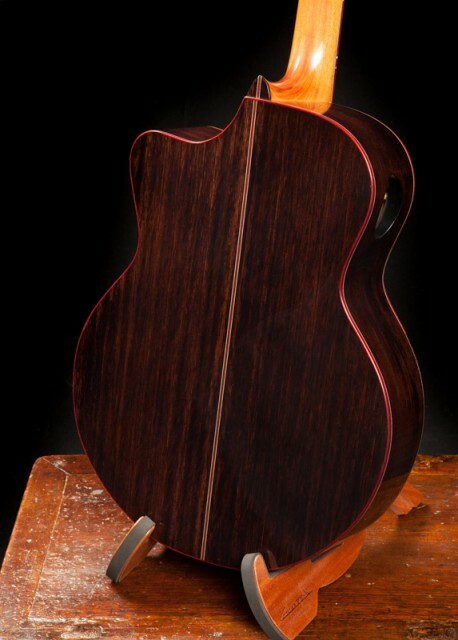 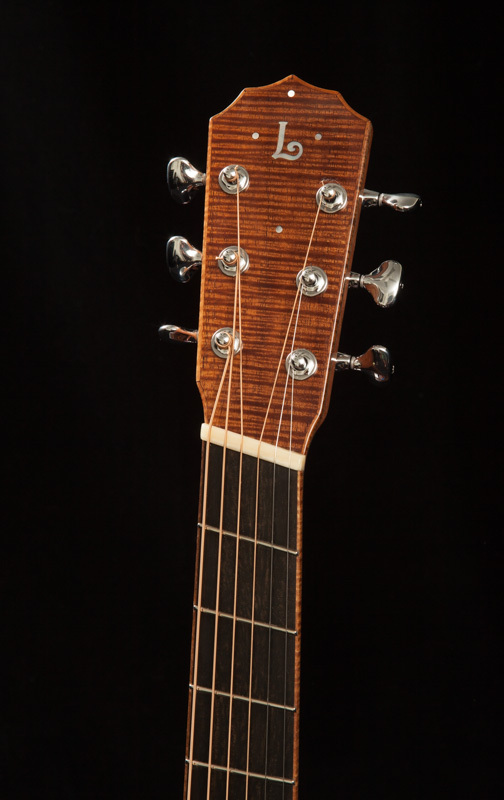 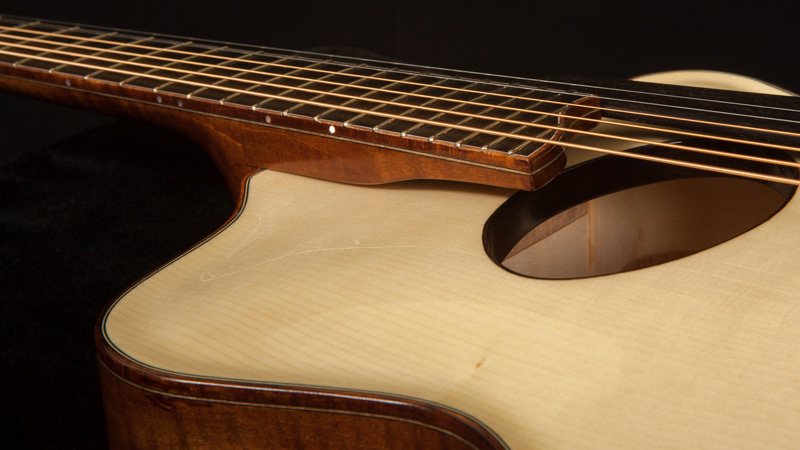 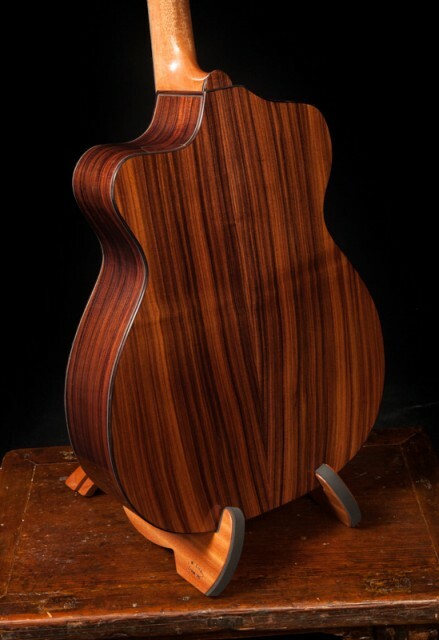 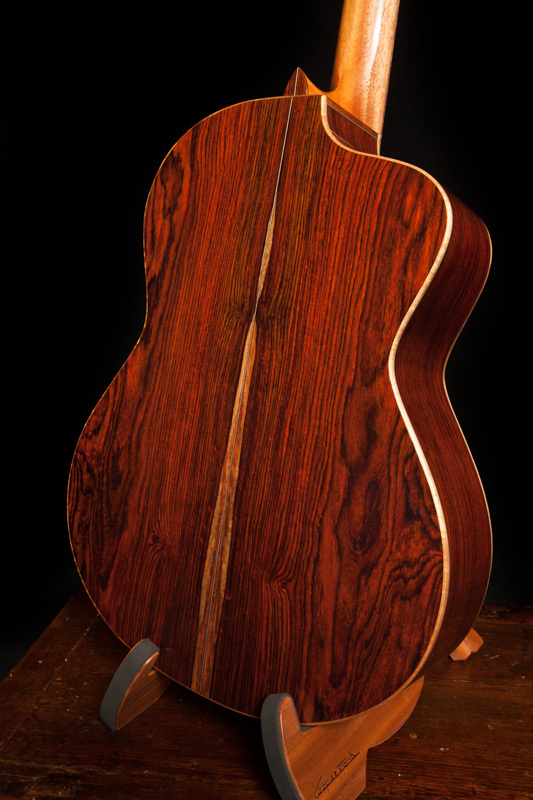 You can see every available set in our tonewood galleries and choose the perfect one for your Lichty guitar. 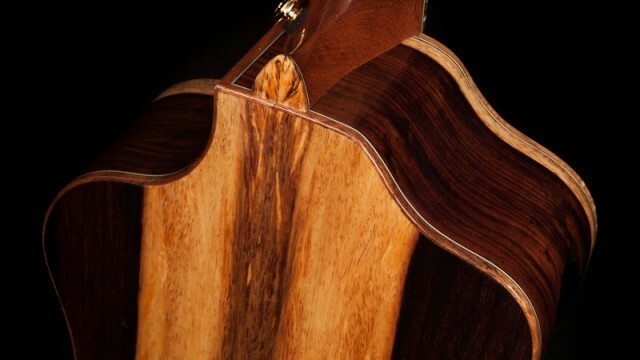 Which set of wood has your name on it? From beveled armrest to side soundport to fan-fret, we’ve pretty much got it all! 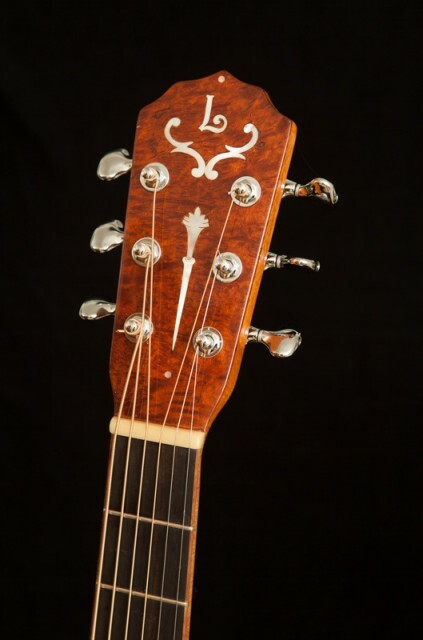 With Jay’s guidance you will choose every detail of your guitar. 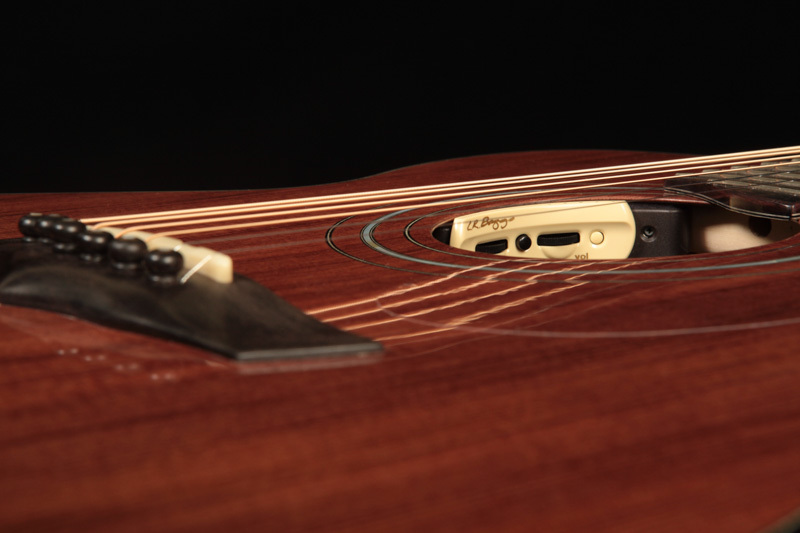 From traditional options to features designed just for you, the possibilities are endless. There are many guitar builders out there. Why choose Jay? 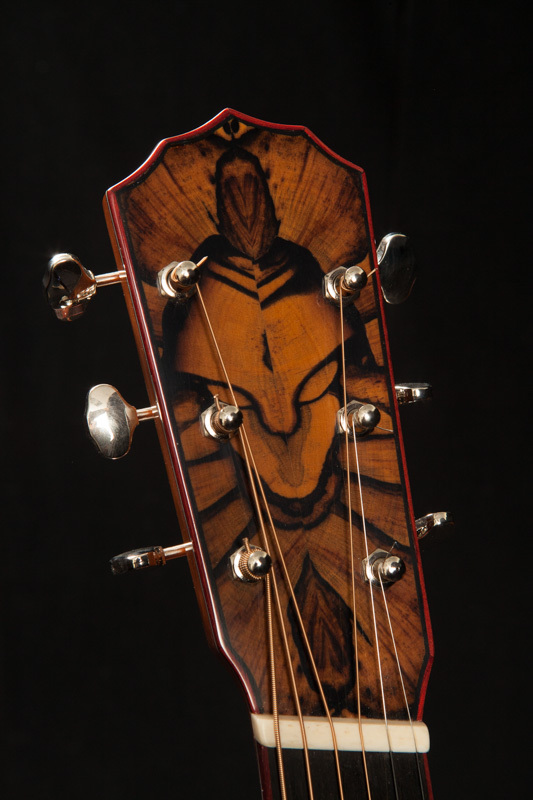 Jay has built over 230 instruments (roughly half and half guitars and ukes) and the majority of these instruments have been custom-crafted to order. 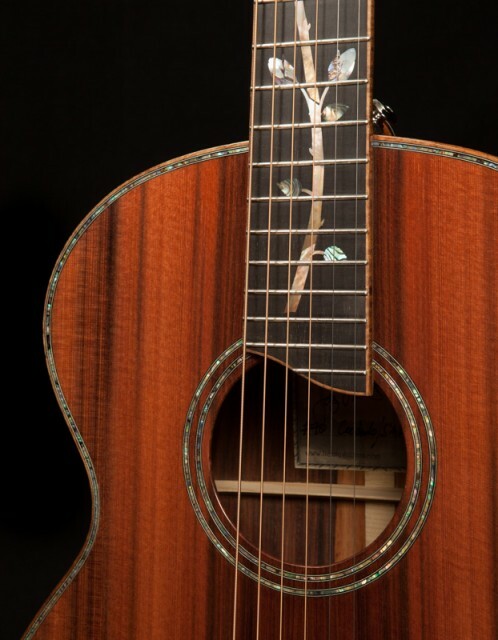 Many of our customers are the proud owners of more than one custom Lichty because they were off-the-charts-happy with their first one. 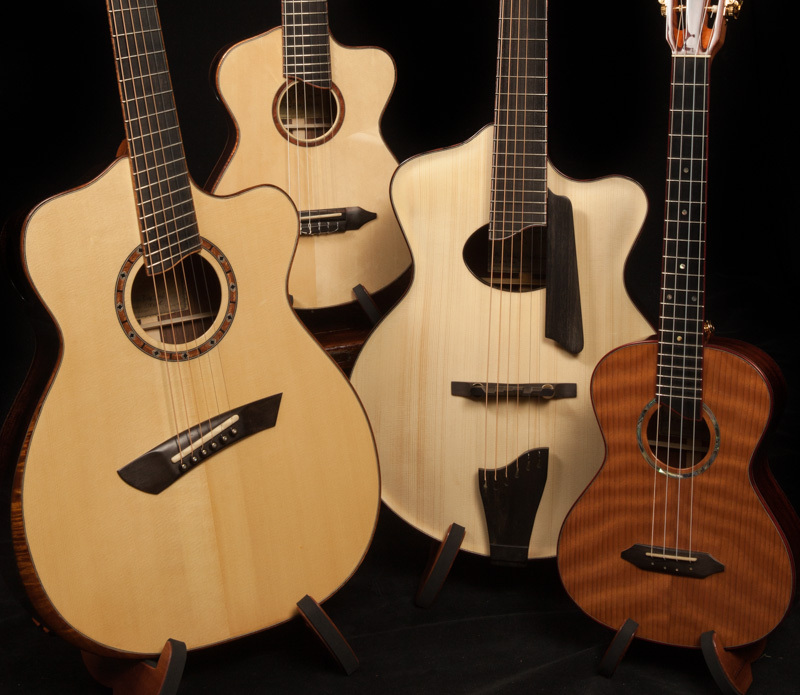 We think that says a lot! 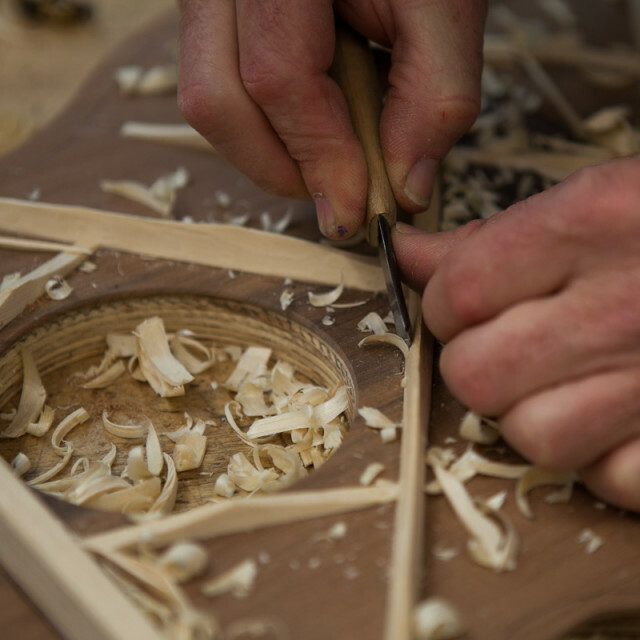 We always say that the fit between builder and customer has to be right. Hey, if you’re having a custom guitar made the process should be fun! 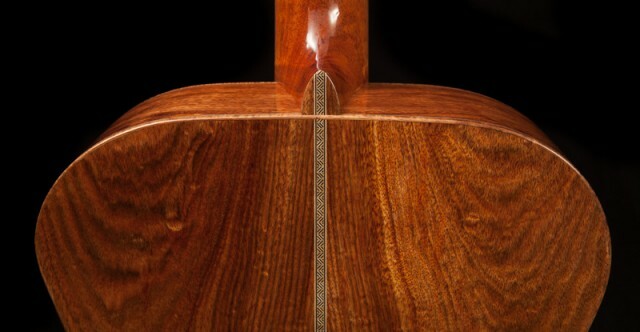 Most folks find that Jay is a pleasure to get to know and to work with. 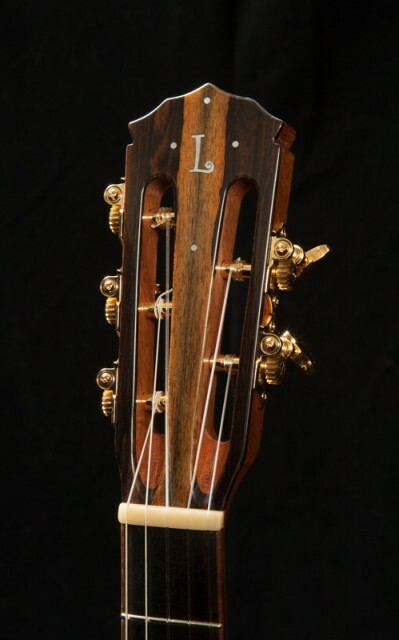 Read more – What chose a Lichty? 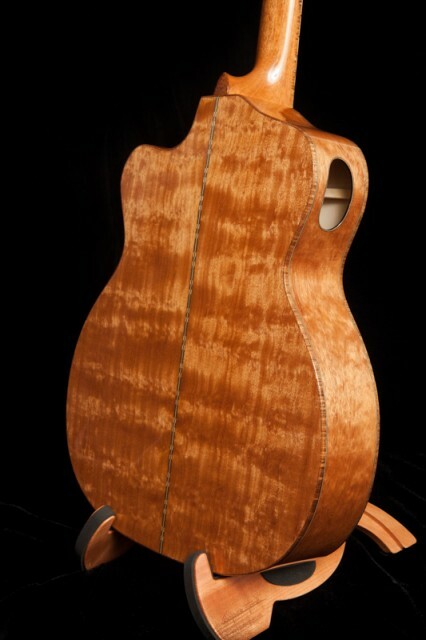 Did you know that when you order a custom Lichty we document the step-by-step construction with a photographic journal? 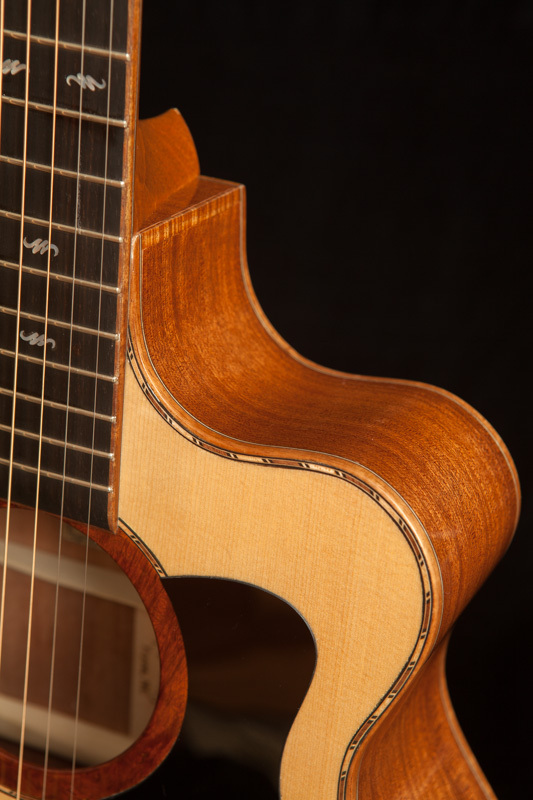 You will be able to see your guitar come to life via our blog and you will receive a copy of all of the images with your instrument. 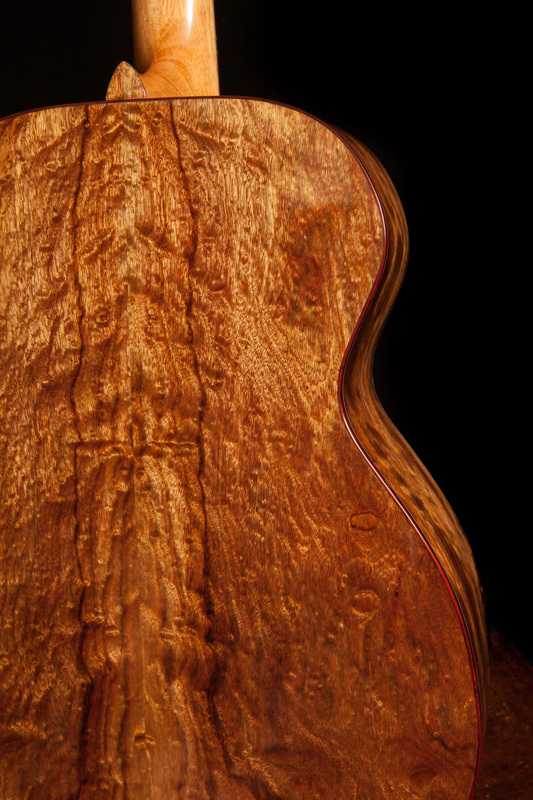 How much is a custom Lichty? 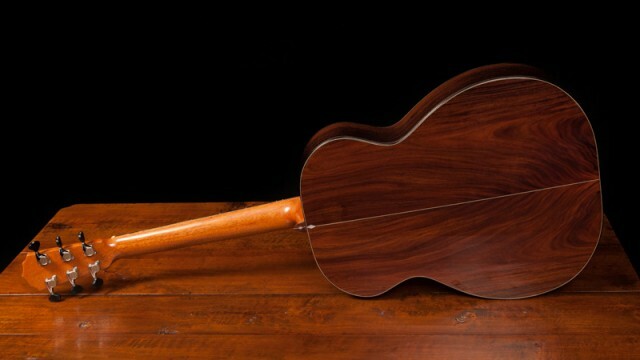 The price varies given all of the possible options but a base-price is $5,200. 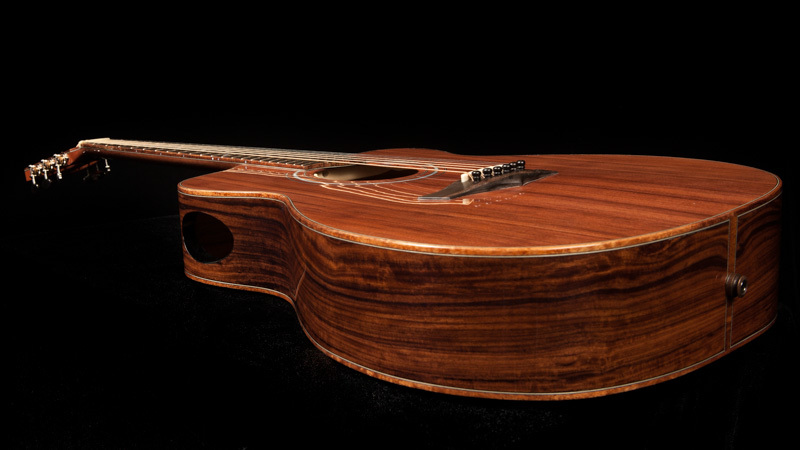 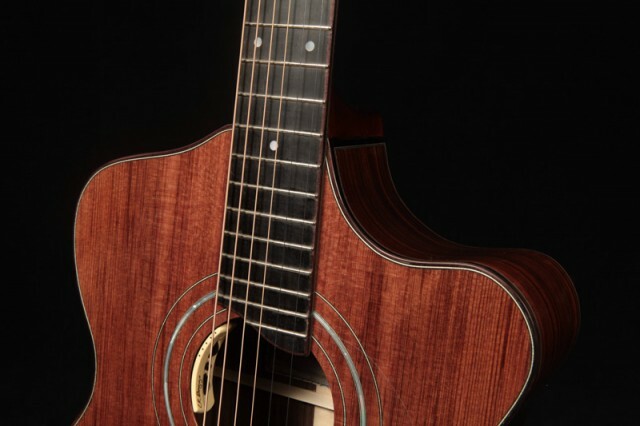 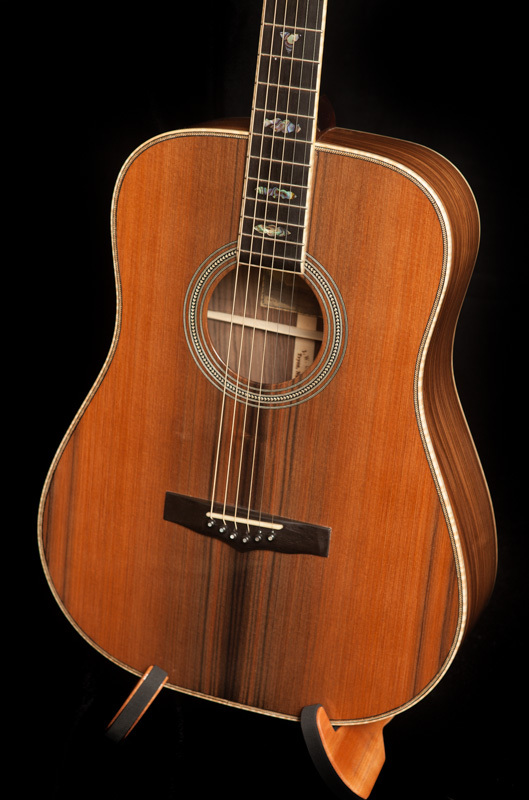 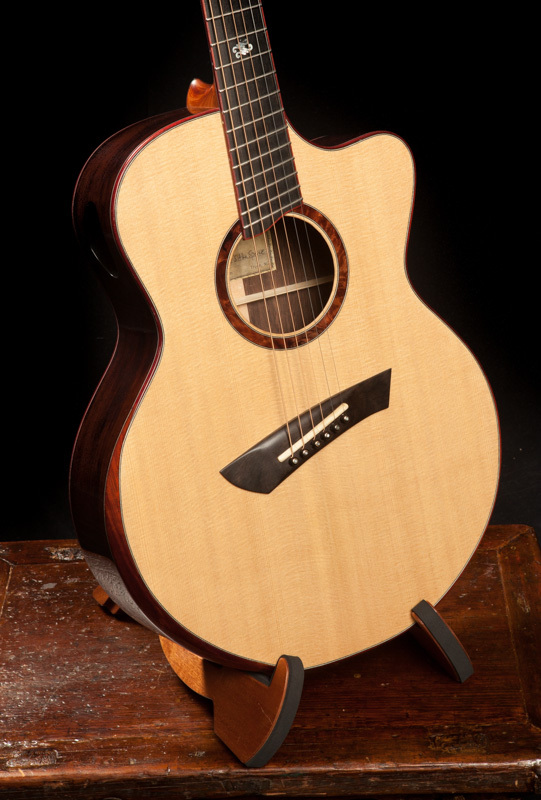 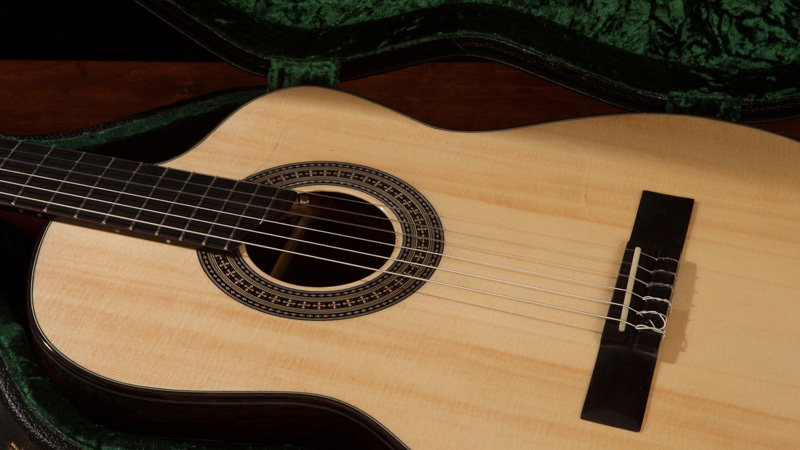 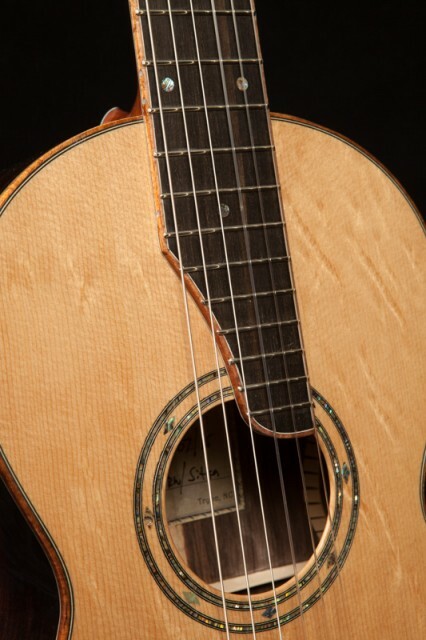 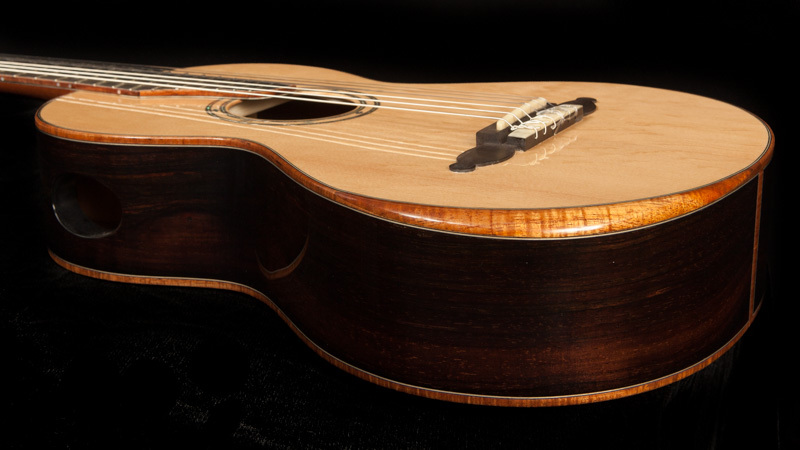 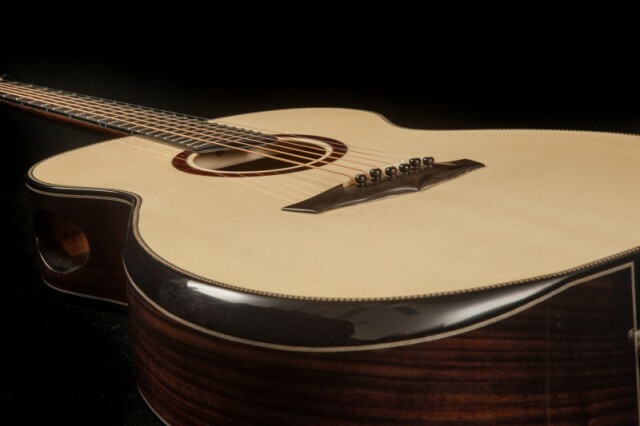 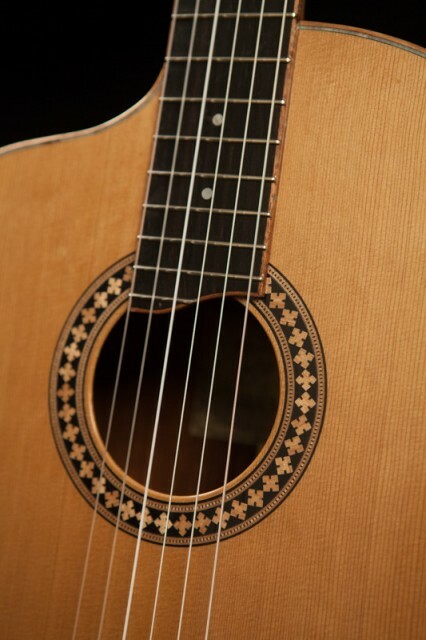 You can estimate the cost of your custom acoustic guitar by running the numbers through our handy calculator. 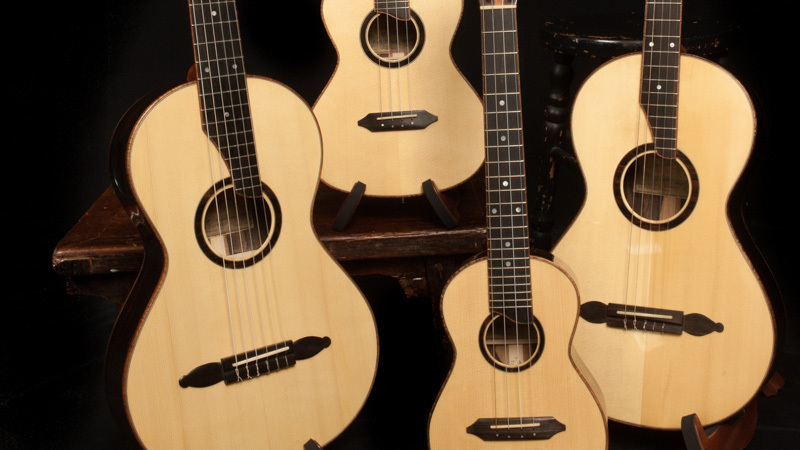 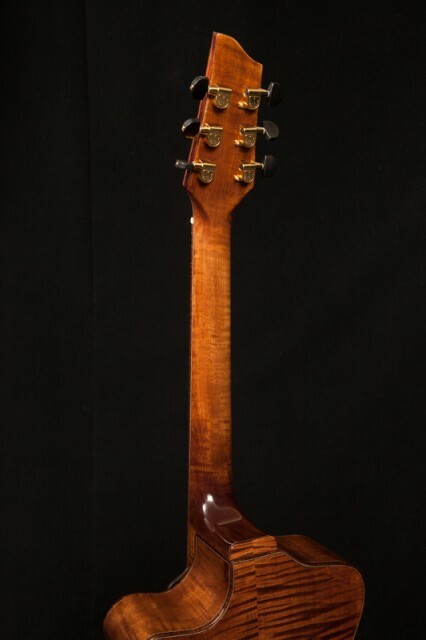 If you are looking for immediate gratification we invite you to look over our inventory of instruments available for immediate sale and shipment. The selection is typically very small but you might get lucky and find your guitar there. Come hang out in our Listening Room and hear Lichty custom guitars (and ukuleles) played by Jay and by other performing artists. 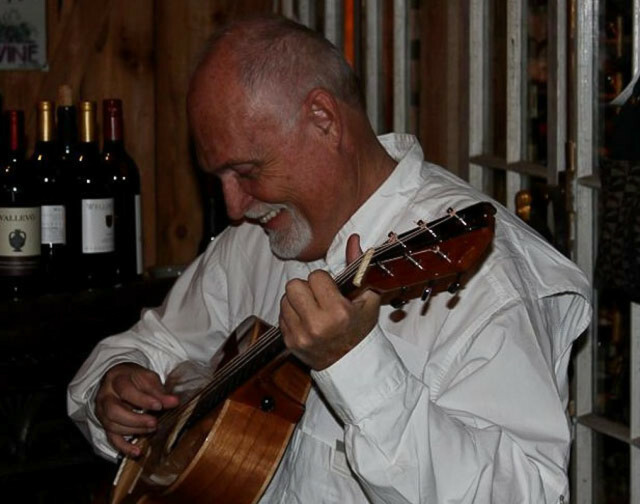 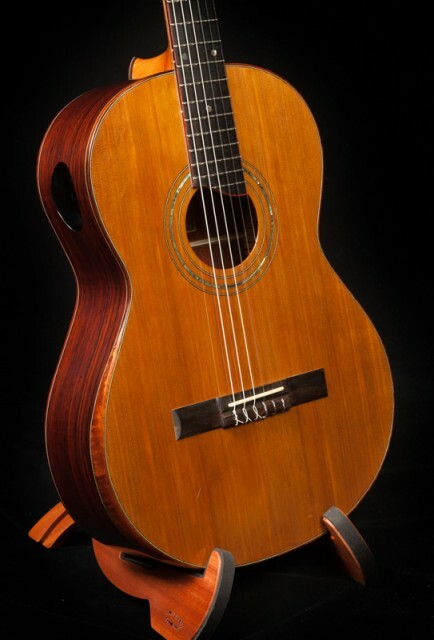 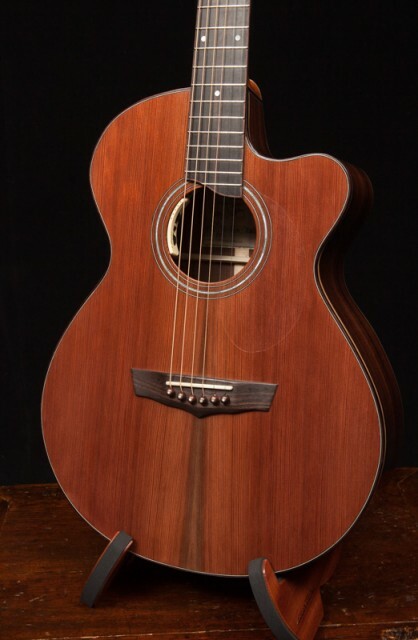 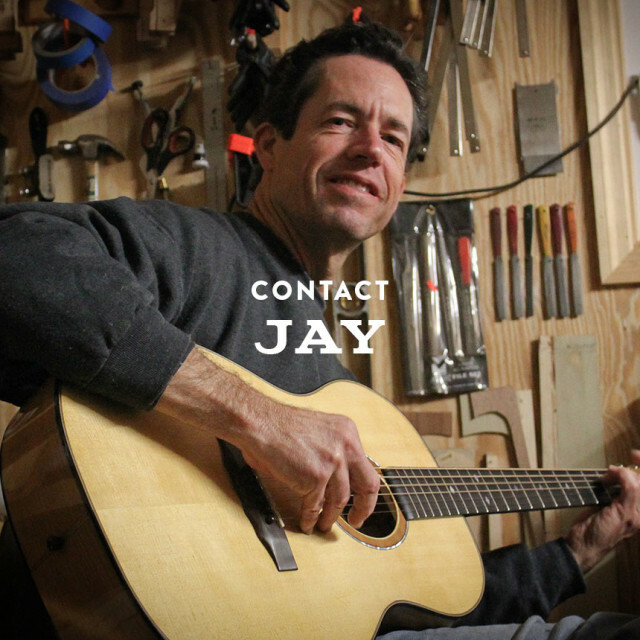 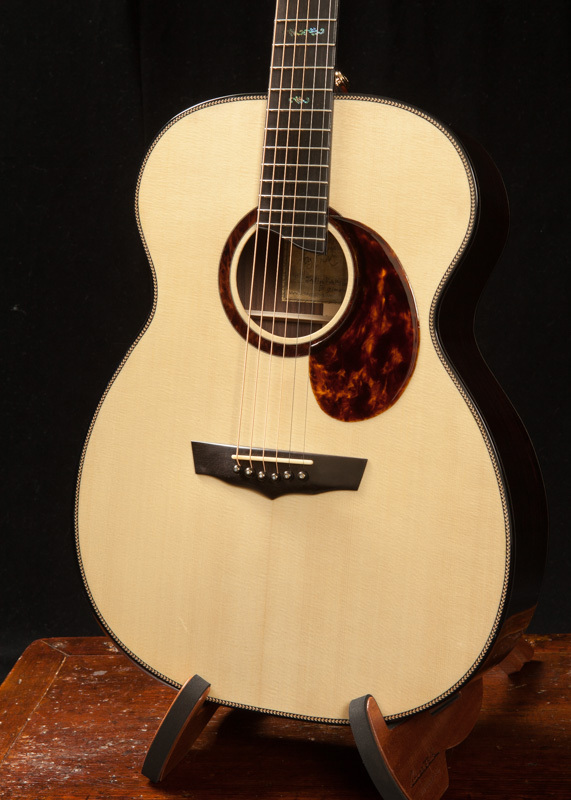 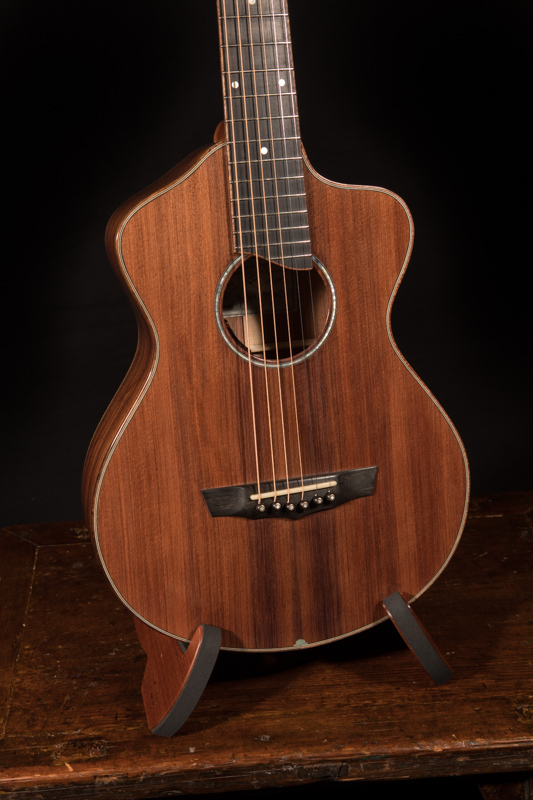 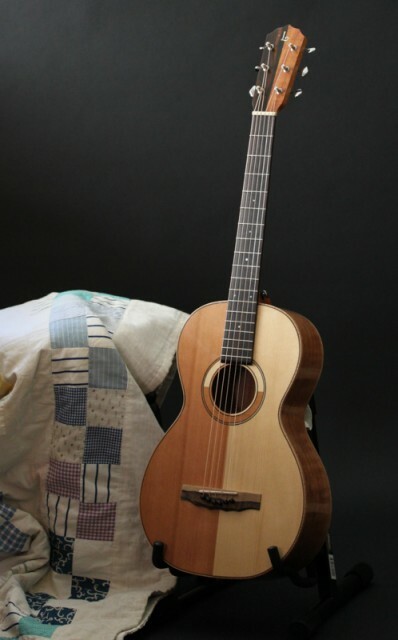 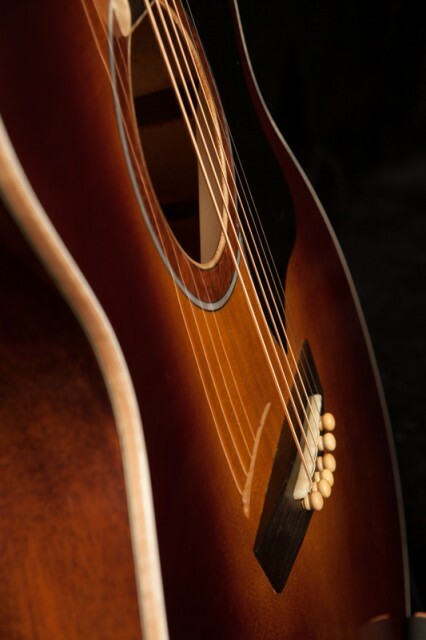 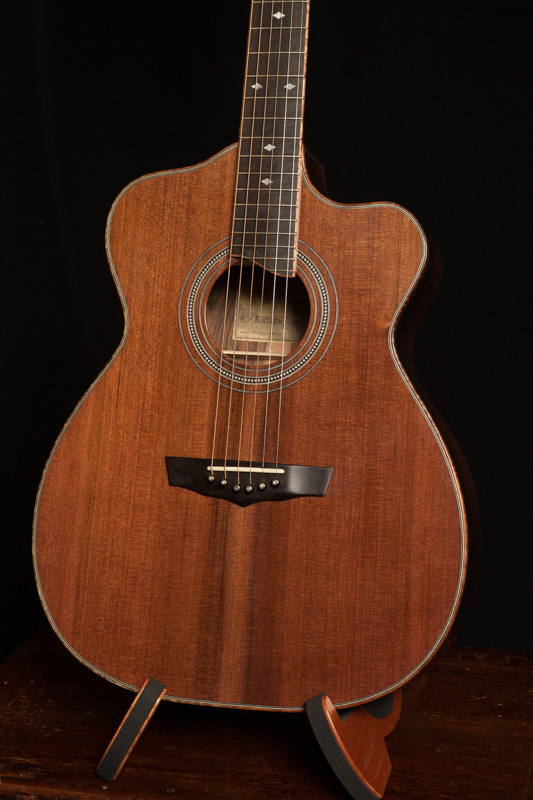 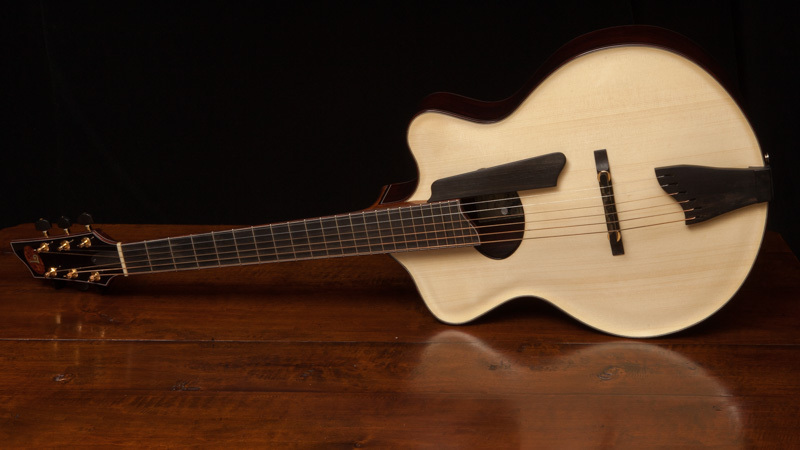 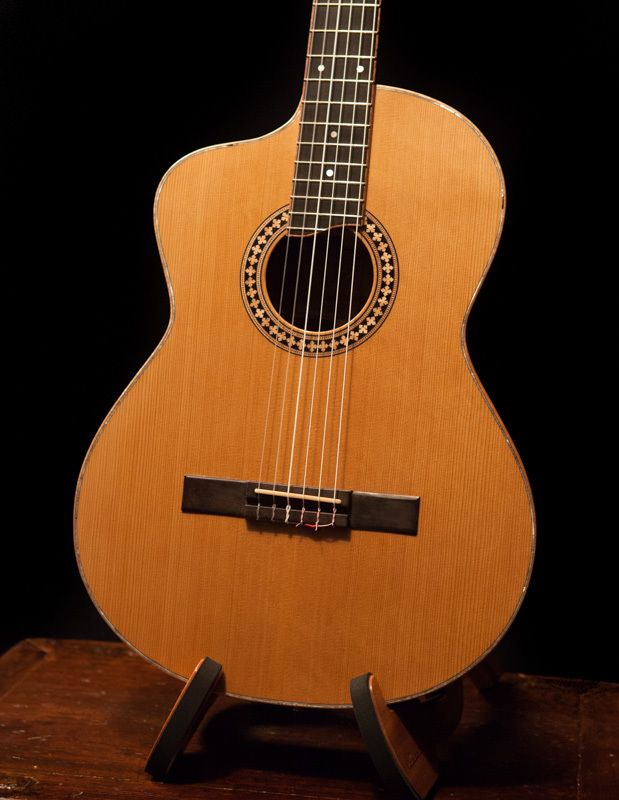 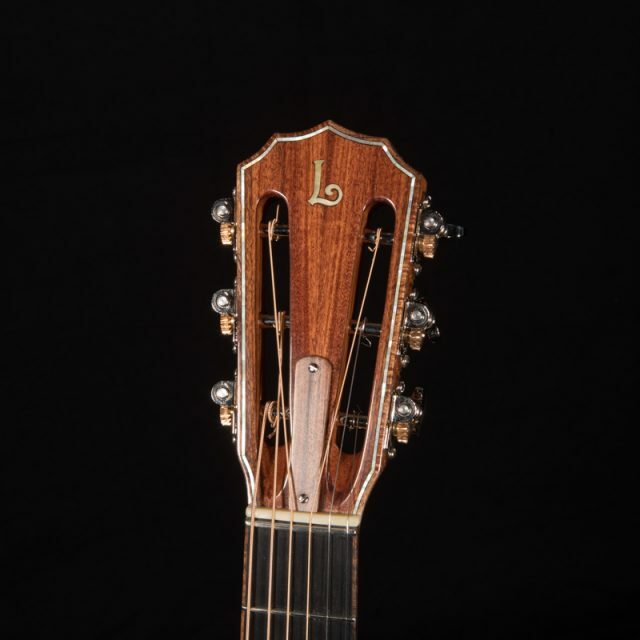 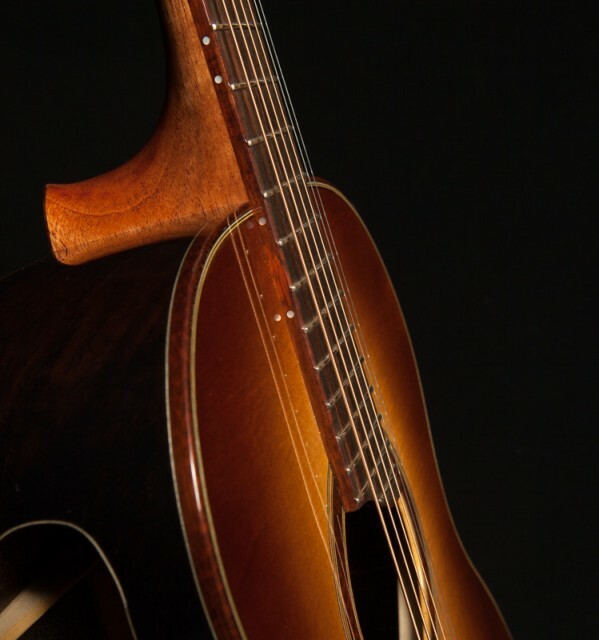 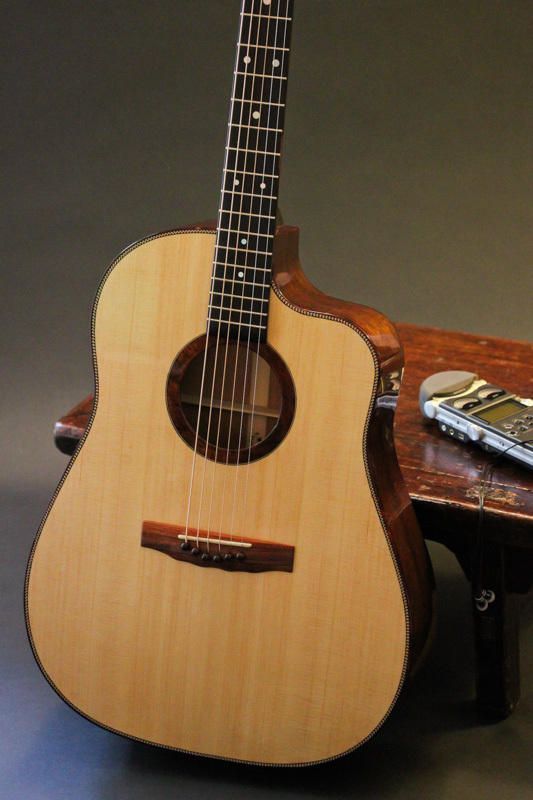 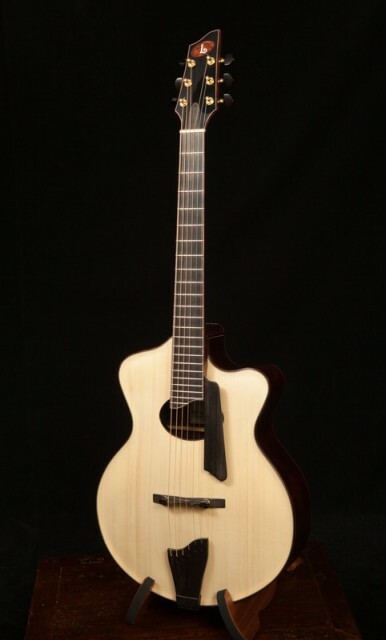 Jay welcomes your call or email anytime to discuss your ideal instrument and to explore all of the handmade acoustic guitar options available.